http://www.line-stickers.com/ – PA 086 By Ohn Sriphan Line Sticker | This funny sticker set, from the famous Pa 086, is now ready for all aunties to download today. 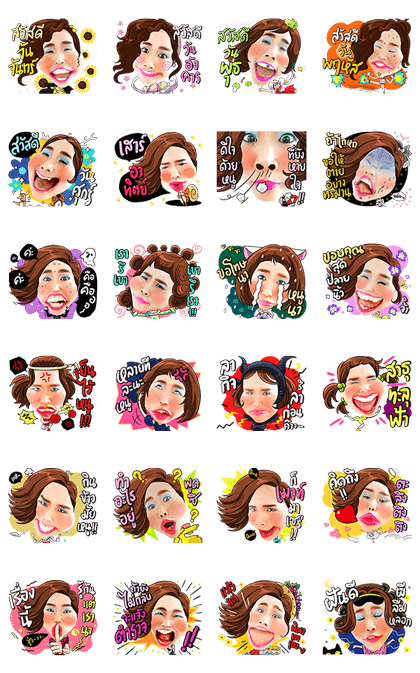 This sticker set comes with the unique facial expressions and sounds of Ohn Sriphan. Download this sticker today to be a part of this crazy auntie’s world! “Yuri!!! on ICE” hits the rink once again with more stickers to make sure your chats get that perfect score. Get ready for more figure skating action from Yuri, Victor, Yurio, and other characters!